Yesterday I shared a post about a free eBook titled Architecting Modern Web Application with ASP.NET Core and Microsoft Azure. Within that book, there were samples shared about a monolithic online store. 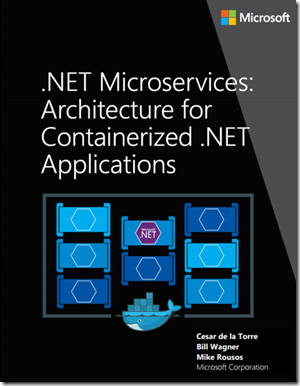 This particular book, authored by Cesar de la Torre from Microsoft, takes that same example and explains how to containerize the application. The book titled .NET Microservices – Architecture for Containerized .NET Applications provides best practices using .NET Core and Docker. It explains how microservices communicate between one another and how to migrate legacy applications to a microservice-based architecture. You can obtain a copy of this eBook here.